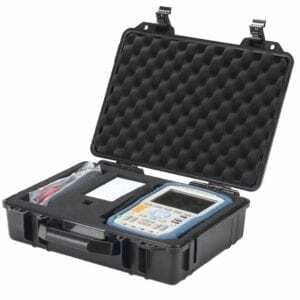 GDS-122 is a multi-function measurement tool. 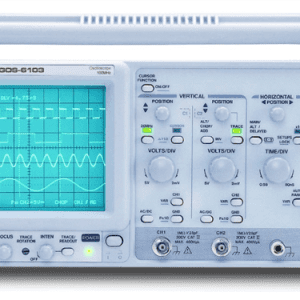 By using the oscilloscope functionalities, you can measure simple waveforms, use advanced measurement functions, and configure system settings. 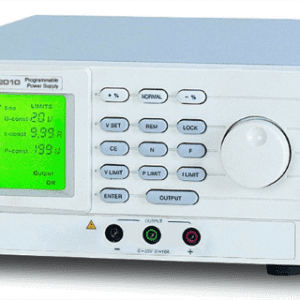 The multimeter functionality includes three major items (Voltage, Current, and Impedance) and three additional items (Diode, Continuity, and Capacitance). 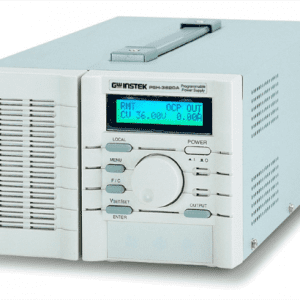 The current measurement and capacitance measurement use extension modules to deal with large current and small capacitance, respectively. 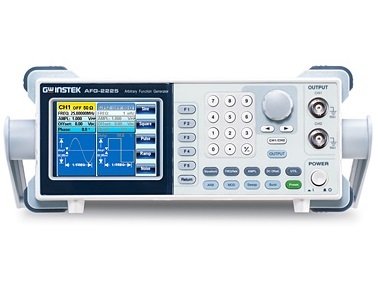 Delta measurement and automatic range switching features offer flexibility and convenience. 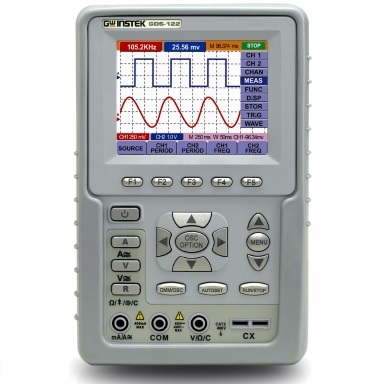 The waveform math function runs mathematical operations between CH1 and CH2 waveform, and then shows the result in the display. 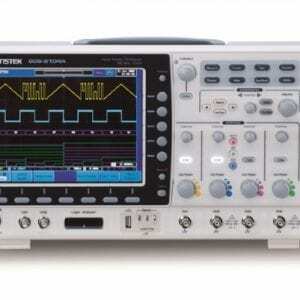 It offers 5 math function, CH1-CH2, CH2-CH1, CH1+CH2, CH1 x CH2, CH1/CH2. 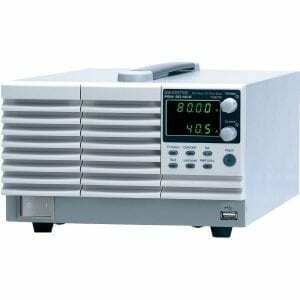 The automatic measurement function measures the input signal’s characteristics and lists them in the top left corner of the display. 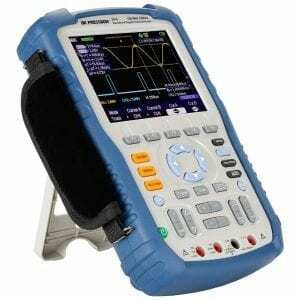 The measurement items are Frequency, Period, Mean Voltage, Peak-to-Peak Voltage, Cycle Voltage (True RMS). The autoset function automatically configures the following parameters according to the input signal. 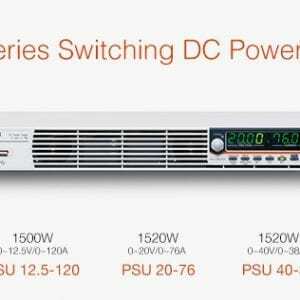 It can offer CH1/CH2 on/off, Vertical scale/level, Horizontal scale/level, Trigger level. The self calibration function automatically configures internal parameters to maintain the sensitivity and accuracy. When the temperature changes more than 5 degrees Celsius during operations. 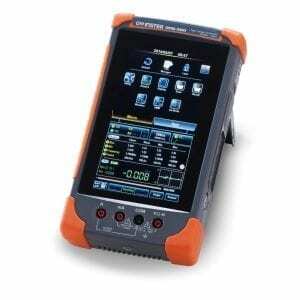 When operating the GDS-122 in a new benchtop or field environment. 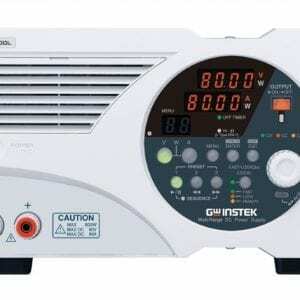 GDS-122 is equipped with a Li-ion battery, which is able to maintain its normal operation for about 6 hours. 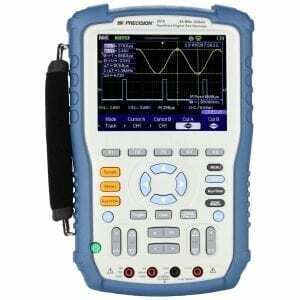 After pressing the power key, press any key (for example the MENU key) to enter the oscilloscope or multimeter mode. See the battery level icon at the top left corner of the display and connect the power cord if the level is < 25%. 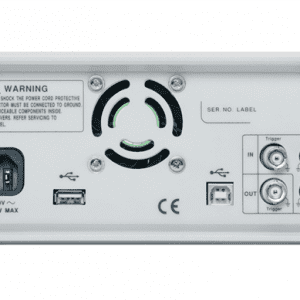 With only 690g light weight and compact size, GDS-122 well fits into outdoor applications. The GDS-122 PC software, included in the CD-ROM, allows you to view the waveforms in your familiar PC environment large display and mouse operation. 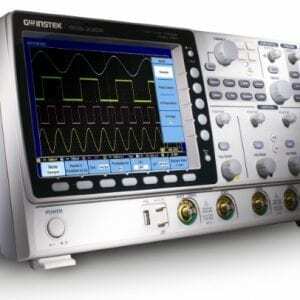 Multiple cursors provide flexible waveform measurements. The PC Software is through from USB connection. The compact design with the total weight of 690g allows engineers to carry it around easily. The protective cover of the unit is insulated and specially designed to guarantee endurance and reliability in tough environments. The rechargeable Li-ion battery ensures convenience for on-site testing.